This is a sponsored post written by me on behalf of TruMoo Milk for IZEA. All opinions are 100% mine. This winter was brutal on us here in the Poconos, so I’m definitely looking forward to getting outdoors for some spring family fitness activities! I’ll admit, I slacked on keeping my son active during the winter. He spent most of the season tucked warmly away with his computer or video games, drinking his favorite TruMoo Chocolate Milk to keep him fueled. We had record-breaking dangerously low temperatures this year, so even when he wanted to go outside and play, I had to tell him no. Now that spring is FINALLY here I just want to get out and do something fun! The problem? I have a lot of back problems. Running marathons or climbing mountains- while I’d love to try them- just aren’t in our future. The other problem? Jacob has gotten so used to staying inside playing video games over the winter that getting him back outdoors is a bit of a challenge. So I’ve come up with a few fun family fitness ideas for spring that I’m hoping will be both easy on my back AND fun for my gamer son. Laser Tag- Jacob and I played this for the first time at an indoor play place. He beat me by a long shot, but we both had a great time. I was surprised at how active the game is, yet how easy it was on my back. You run quite a bit and get your heart pumping, but if you’re like me and need breaks, you can hide behind some sort of obstacle to catch your breath or take a break. You can also buy your own gear and create your own “arena” at home. Go-Kart Racing- If your kids love the video game version, take them go-kart racing! I did some research and it’s actually quite a workout. Just make sure you choose a track that is designed for families and not competitive racing. Make sure you outfit your family in protective gear. Super Gamer Obstacle Course- You know all those casual endless runner games that our kids love to play? The ones where you basically just run, jump, dodge obstacles and try not to get hit by subways? Recreate it in your backyard! Minus the deadly subways, of course. Set up an obstacle course with materials you already have: cardboard boxes, sidewalk chalk, etc. Rather than have a finish line, though, see how long your child can “endlessly” run the course without hitting an obstacle. Just create the course as a circle. When they pass by an obstacle, move it to a slightly different position. You can also use a clothesline to add soft floating obstacles (like a hanging curtain to duck) or powerups (such as an extra “life”). 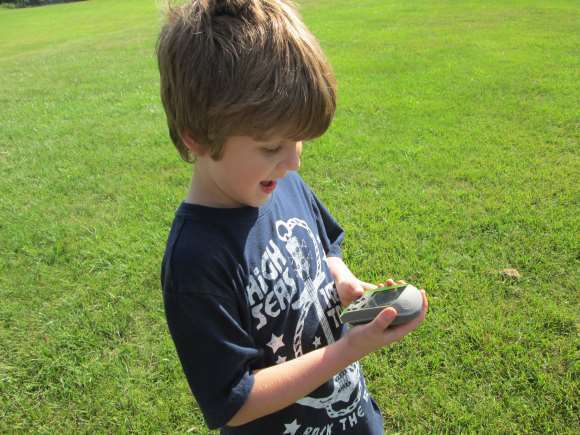 Geocaching– Geocaching is like a worldwide treasure hunt. Just about every town has at least one cache. All you need are the coordinates and a GPS tracking app. This is easy on your back because you’re walking at your own pace and you can choose cache locations with easy terrain. It’s fun for kids because they’re hunting for real treasure. It’s like taking a walk, but with a real purpose! These are just a few fun spring fitness activities that even your technology-loving gamer kid will enjoy. It’s a win-win situation when you can make your kids happy AND keep them healthy. Since I have back problems and a family history of degenerative bone problems, it’s really important to me that Jacob stay active and build healthy bones. In addition to getting him physically active, I’m faced with the challenge of giving him the right nutrition to keep those bones healthy. He’s an incredibly picky eater. Thank goodness he LOVES milk. His favorite is TruMoo Chocolate Milk. 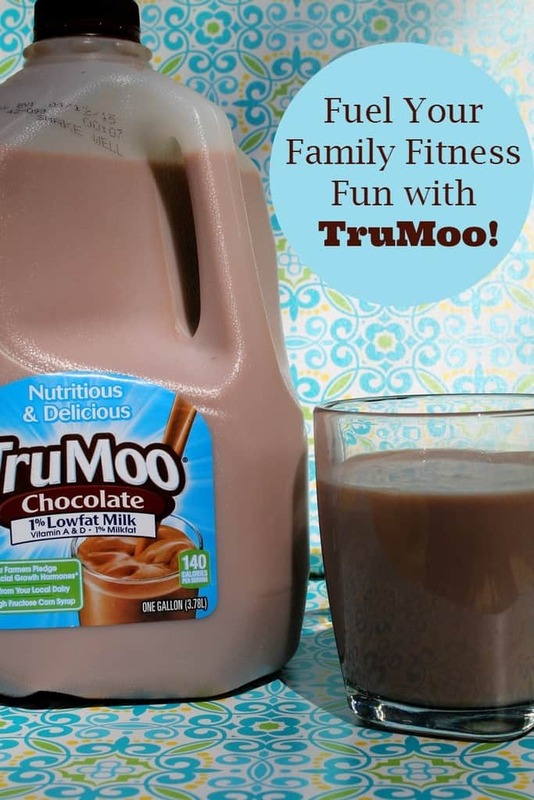 When he asks for milk, he actually says “Can I have some TruMoo?” I love TruMoo Chocolate Milk because just one glass has the same amount of calcium as five cups of broccoli! It also has as much potassium as a small banana. Considering my son won’t touch either of those foods, that’s a huge deal to me. Plus it has other important nutrients, like Vitamin A and D, and protein. It’s the perfect drink for after your family fitness activities! 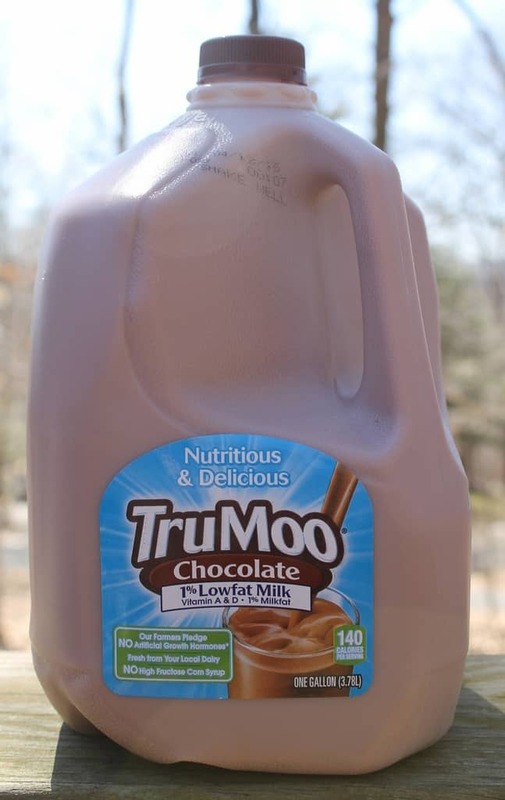 For product information and availability, visit TruMoo online. TruMoo is also great in recipes! Find TruMoo Recipe inspiration on Pinterest. Want to keep up with all the latest news? Join the TruMoo community on Facebook. 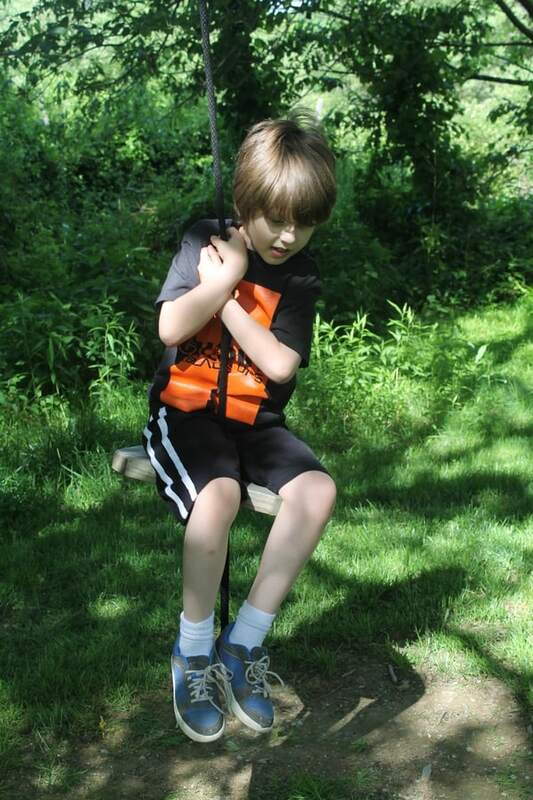 What fun family fitness activities do you do in spring? Tell us in the comments! Chocolate milk is my kids favourite, I may give this a try. I love chocolate milk, and so do the kids. It’s a great way to get them to drink their milk and an sweet alternative to soda. After this past winter I’ve really been looking for some new fun things to do with the kids. & I have to say that I keep noticing Geocaching so I’m pretty sure we’ll be partaking fairly soon. My kids never show interest in getting enough drinks while their play time. 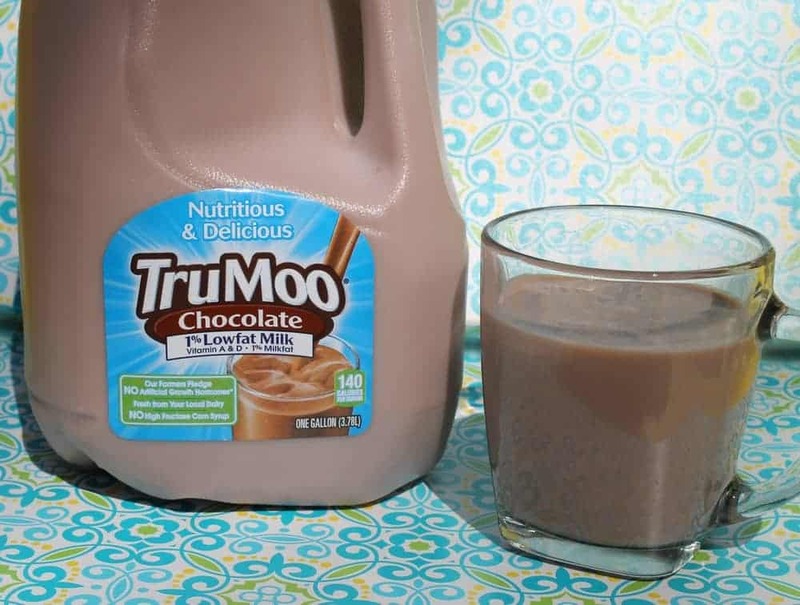 This is the first time I am hearing about this brand TruMoo chocolate milk. This is really a cool idea & would like to check this out for them. Thanks for sharing. Sounds like a great tasting drink, especially for kids. Although We don’t drink milk in our home. TruMoo is a great drink. There are so many great recipes you can make with the different flavors. I would love to do some geocaching. I wanted to do a little a couple of summers ago, but I think I’ll take another look at it for this summer. Give us something to do. This sounds really good. This would be great for my nieces when they get home from cheerleading practice. So I bought this for my kids hoping to skip the chocolate syrup. Sadly they hate it – say it tastes like cereal milk. It’s said a glass of chocolate milk is perfect after a session of intense working out! I wouldn’t mind having a glass of that right now. Yum! My daughter is in track, so TruMoo is a favorite of hers when she gets home from practice. I admit, I like to drink it too! I don’t think Tru-moo was around when my kids were little which is too bad because my kids would have lived on it! 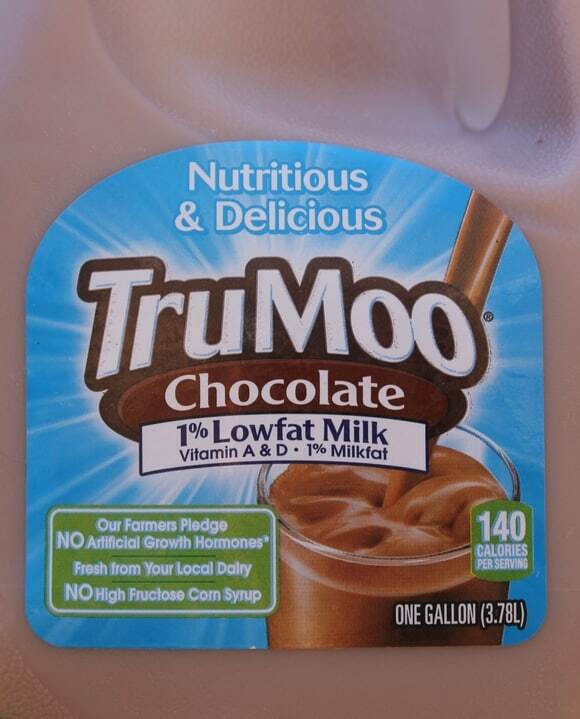 My kids love True-Moo. They always ask for it when we’re at the store. We love Tru-moo at our house. Any way to get my kids to drink milk! Yum chocolate milk is a fave in our house! We don’t have TruMoo here in Canada though.i wish! I’ve heard lots about it! My kids LOVE chocolate milk. It’s their favorite “snack” after playing hard. I don’t generally truly enjoy the taste of lowfat chocolate milk. TruMoo is the only one I’ve tasted that actually tasted good. My kids couldn’t get enough of obstacle courses when they were little. I loved how excited they got and how it kept them active. We always have a problem getting the kids away from the computer/video games too! Those are some great ideas to get them out, exercising and still having fun! In the spring we try to go to a new playground every week until Summer… then we frequent the one we like the most!